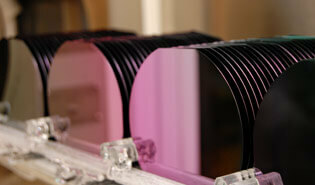 Our LPCVD nitride process uses very specific gas ratios to produce the film properties that are most sought after. 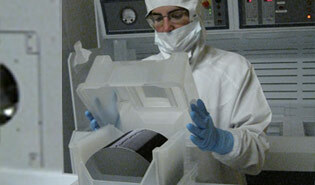 Because of the unique stability of our nitride process we are able to offer you the opportunity to customize film stress to fit your exact application. We have a highly experienced team of engineers and technical staff that can work with you to define which film stress will yield the best results for your application. Once your unique process is developed, you can feel confident that whenever you place a repeat order we will refer to our detailed process records to insure you are receiving the film you expect.